…bottle caps typically serve a humble purpose and aren’t really thought of as the most multipurpose practical invention ever — instead, they contribute to more than USD 1 billion worth of plastic waste that ends up in US landfills each year, rather than being recycled. 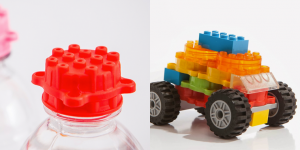 While in the past we have seen initiatives turn them into mini indoor gardens, a new scheme called Clever Caps has redesigned them to give them extra use as Lego-style bricks after they’ve finished their life as a bottle cap. Clever Caps offer an environmentally friendly solution to the production of bottle caps while also adding value to the objects to encourage consumers to re-use them. This classic application of Edward de Bono’s Lateral Thinking™ techniques adds bottom-line value to not only the producer, but also to the environment. Are there other ways packaging can be redesigned to be used after it’s served its initial purpose? Public workshops (London, Bristol, Cardiff, Manchester, Edinburgh, Glasgow, Aberdeen, Dublin and Belfast). In-house for groups and teams, UK and worldwide. Trainer accreditation, training your trainers. 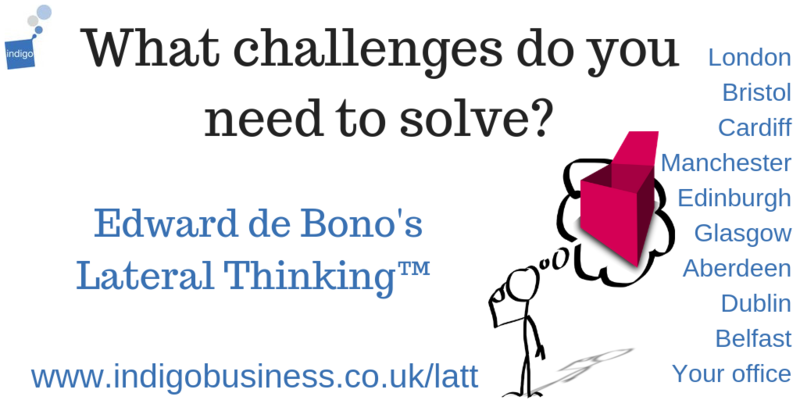 This entry was posted in Creative Thinking, Edward de Bono and tagged Creative Thinking, Lateral Thinking by Richard Evans. Bookmark the permalink.